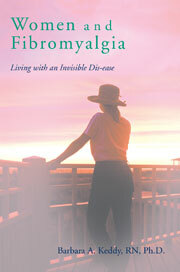 Fibromyalgia does not allow for any kind of scientific tests to aid in making the diagnosis of the syndrome. It is not a disease, but a broad spectrum of ‘symptoms’ which appear to be somewhat universal, that is, primarily pain, chronic fatigue, sleeplessness and often depression, but always present as chronic anxiety. This entry was posted in American College of Rheumatologists, anxiety, autism, bio-feedback, christof koch, Dr. Fredrick Wolfe, Fibromyalgia, Gerald Grot and Allan Horwitz, highly sensitive persons, mind/body, mood rings, negative psycho-social emotions, neuro-ethicists, pain, pharmaceuticals, philosophers, positive psycho-social emotions, restless legs, science of consciousness, sleeplessness on March 16, 2010 by Barbara Keddy.